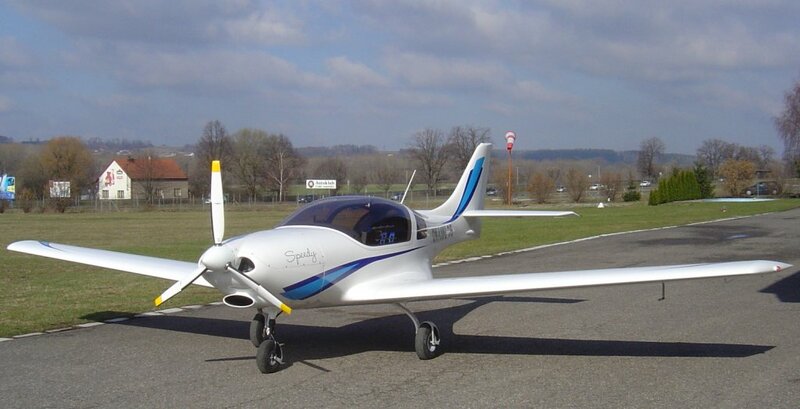 This ultralight is an aerodynamically clean low-wing single-engine aircraft manufactured from composite materials with two side-by-side seats, a bow-type hydraulic actuated retractable or fixed undercarriage and cruising speed up to 270 kph (168 mph, 146 kt) CAS. This aircraft has been developed from the beginning in our design office as a virtual prototype in the SolidWorks package, where all works, inclusive of mechanism simulations (controls, undercarriage, etc. ), are made in digital environment of the computer only. Manufacturer of this aircraft has made laminating moulds from our CAD drawings near end of the development phase and consecutively also dummy prototype for verification and testing of all mechanisms and manufacturing process, such as is usuall in the “big” aviation. The result of all such effort was achieving of empty weight of the equipped aircraft 301 kg (664 lb) at the first manufactured aircraft, e.g. inclusive of retractable undercarriage and rich instrument equipment. The aircraft with fixed composite undercarriage, version VL-3B, was made in April 2006. This variant brings exept of custommer's financial savings also lover weight of empty aircraft. In this case it was achieved 291 kg (641.5 lb) at fully equipped aircraft with three-blade electric variable-pitch propeller, position light installation and other extra equipment. 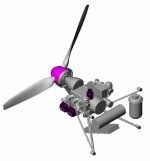 Furthermore, design arrangement of the undercarriage attachment allows to the aircraft owner to have retrofit his aircraft by hydraulic actuated retractable U/C by means of an upgrade kit at manufacturer's facility. Following table shows dimensions and performance of average VL-3 aircraft. 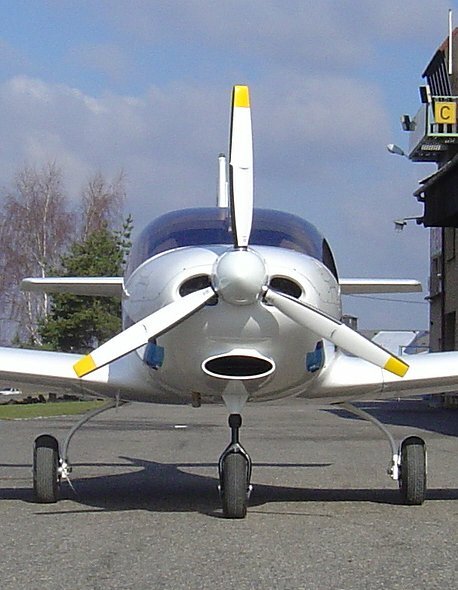 The MTOW value depends on certification basis of a given aircraft and on its equipment. VL-3C-1 - different wing, fixed landing gear, R912ULS (100hp) engine, variable pitch propeller. Complies to LSA category requirements. To the US market introduced as Gobosh 800XP. VL-3D-1 Sprint - fixed landing gear, R912ULS (100hp) engine, fixed pitch propeller. Complies to German BfU regulations requirements. VL-3D-2 Sprint - fixed landing gear, R912UL (80hp) engine, fixed pitch propeller. The first FAI record was surpassed in 2005 on VL-3A-1 aircraft, S/N 001, FAI class R (Microlights and paramotors), sub-class RAL2T (Microlights : Movable Aerodynamic Control / Landplane / Flown with two persons / Thermal Engine) over a straight course of 15/25 km reaching average speed of 274.78 km/h. 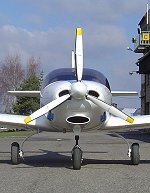 Further two FAI records in the same category were owercomed in 2007 on the same aircraft, namely Speed over a closed circuit of 50 km with performance of 262.0 km/h and Speed over a closed circuit of 100 km with performance of 268.4 km/h. Details of all three records are described in f ollowing articles: VL-3 World Record Ratified a Another Two FAI Records on the VL-3. Copyright © 2014 Vanessa Air, spol. s r. o.